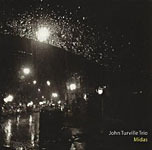 John Turville is one of the busiest and most versatile pianists in the UK. As well as running and writing for his own trio and sextet, he is currently a member of Tim Garland's Lighthouse Trio, Guillermo Rozenthuler's folkloric quartet 'Rioplatenses', the Loop band 'Dog Soup', the big band 'Combustible Alarms' and the Koby Israelite group, with whom he toured the UK, Poland, Bulgaria, Portugal and Austria in 2008, as well as a number of tango projects. He co-established the E17 big band in 2009 and has written new work for the ensemble. His trio won the album of the year category in the 2011 Parliamentary Awards and John was awarded 'Best Jazz Instrumentalist' in the 2010 London Jazz Awards. In 2009 he also won the PRS promoter's choice award and played a ten-date tour of the UK in January 2010 to support the release of their new album 'Midas'. 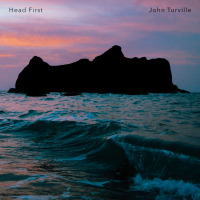 a highly impressive statement from the versatile young pianist John Turville... this well balanced programme covers a number of styles and bases and the interplay between the three principal musicians is consistently interesting. 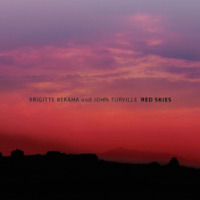 Hill’s huge tone and Reynolds’ colourful drumming complement the leader well, his playing a good balance between lyricism and muscularity [...] This album deserves to establish Turville as a major new figure on the British jazz scene. (Ian Mann, thejazzmann.com, 4 stars). John Turville’s fresh-sounding UK piano trio of bassist and drummer Chris Hill and Ben Reynolds deliver a fresh balance of current concerns and conventional wisdom ..
All About Jazz musician pages are maintained by musicians, publicists and trusted members like you. Interested? Tell us why you would like to improve the John Turville musician page.